Colonel Sir John Hunt, the leader of the 1953 Everest expedition even took this portable typewrite with him to write his reports. George Salter had produced the first English typewriter in 1892, the Empire. In 1935 it sold the sales and manufacturing rights to its typewriter business to British Typewriters Ltd, who set up in a former grocery warehouse in Victoria Street to produce a new typewriter known as the Baby Empire, with the slogan ‘No Higher Than A Matchbox’. In the early stages of production up to 70 machines were produced a week. In the November 1940 air raids the factory was badly damaged. With the loss of stock as well as components, jigs, drawings and tools, typewriter production ceased until the end of the war. The usable plant machinery was moved to the premises of Kenrick & Jefferson, from then on the company engaged in war work. They produced aero engine rods for Armstrong Siddeley, aero engine flame traps for the Rolls Royce Merlin, sights and trigger boxes for anti-tank weapons. At the end of the war they were based in the former Hudson Works in Queen Street and Pitt Street, which had been used by the Civil Defence and Fire Services. Production of typewriters resumed in 1946 and the Empire Aristocrat model was introduced in 1948. It went on to become the portable typewriter of choice in the 1950’s. Colonel Sir John Hunt, the leader of the 1953 Everest expedition even took one with him to write his reports. Later in the 1950s the company was taken over by the American group, Smith-Corona. 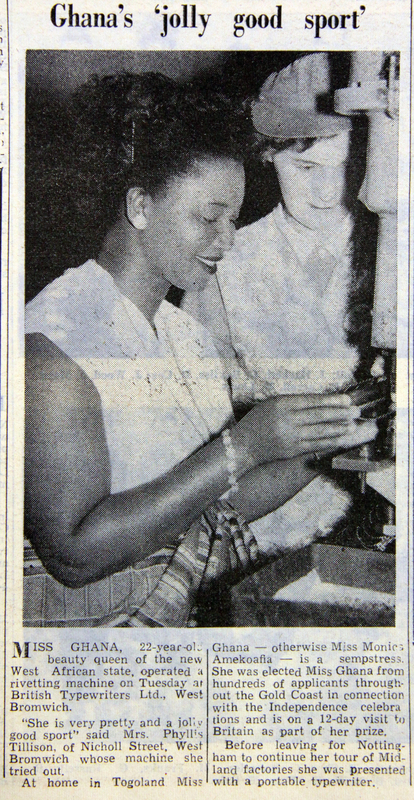 Local press article from 1957. 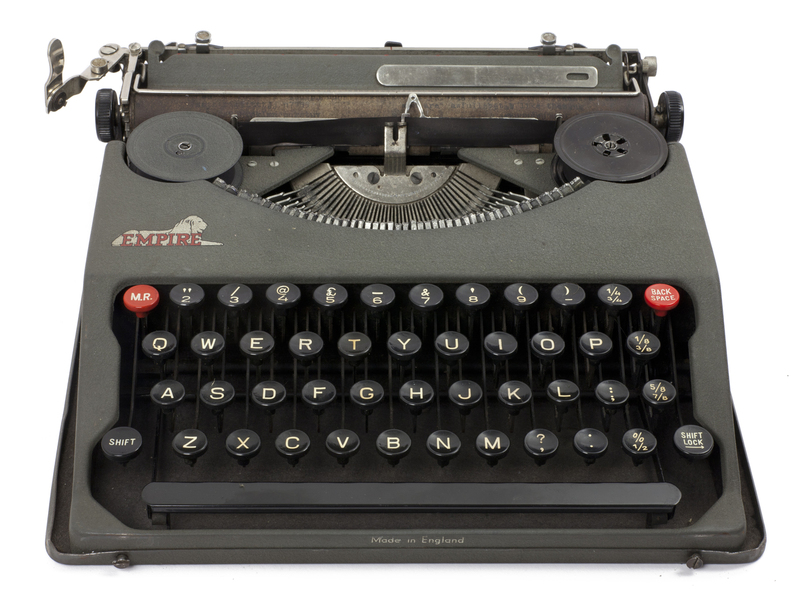 George Salter had produced the first English typewriter in 1892, the Empire.